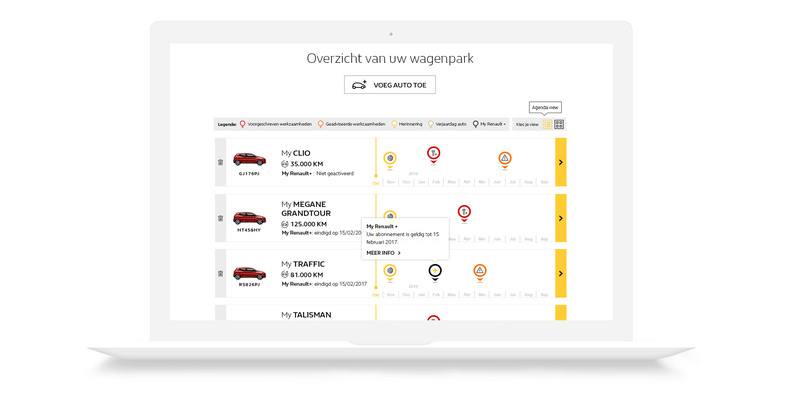 To keep the Renault owner visiting Renault garages, even after the warranty period has expired. 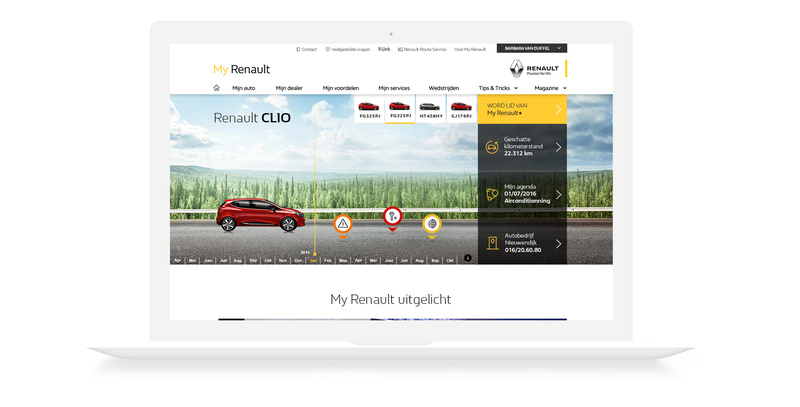 To build up trust in Renault expertise. To consolidate all brand content in one online platform, which will lead to lower production costs for offline communications. 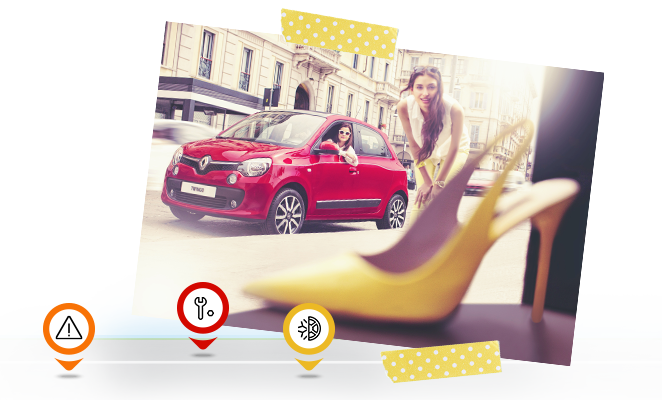 An online portal, accessible to all, but with extra benefits for the Renault driver with a My Renault account. 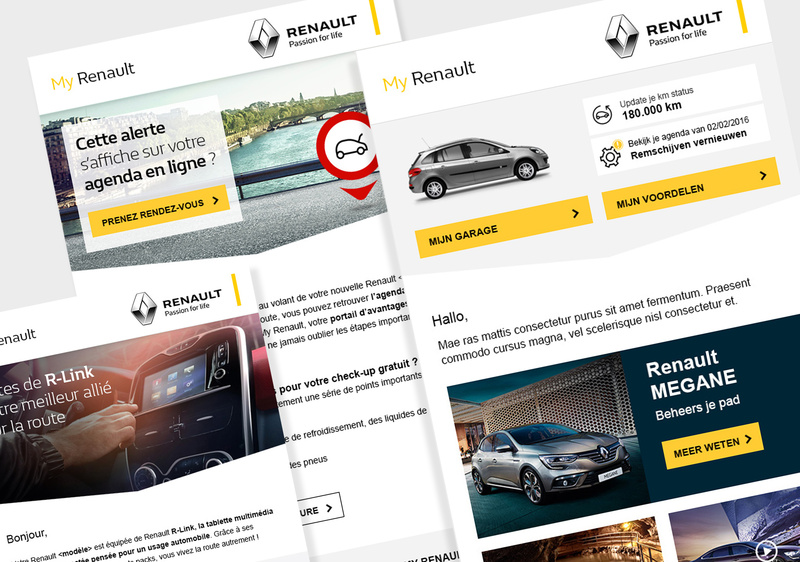 Monthly content campaigns including benefits and lifestyle articles on the brand and for the Renault driver. Monthly newsletters and ad hoc mass emails. Competitions. 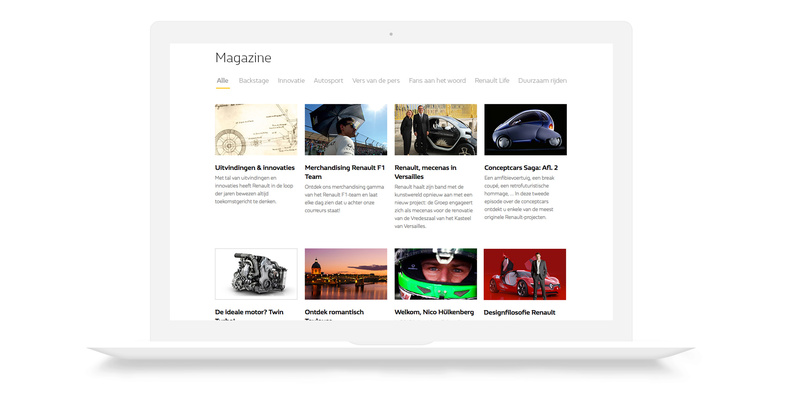 All members receive a monthly newsletter with the status of their car and an update of his or her personalised content and advantages. 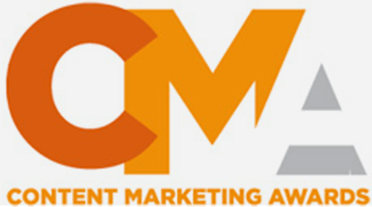 The client base also receives ad hoc targeted campaigns throughout the year. My Renault has proven its efficiency and return on investment. Initial challenges have been met head on. What’s more, the case has been rewarded with several efficiency prizes. 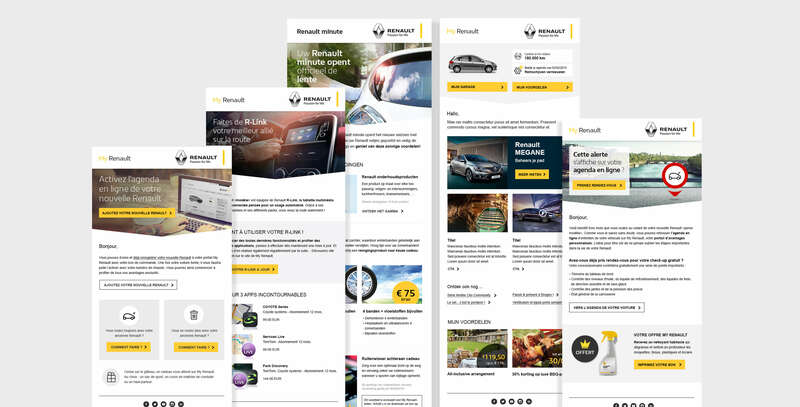 My Renault has become a USP that forges a real connection between Renault drivers and the brand.